I’m a stay-home-mom of 3 munchkins. 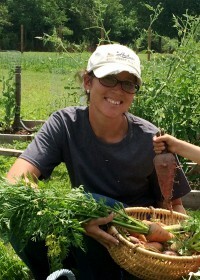 A former teacher, aspiring crafter and wannabe farmer. I have a wonderful husband of 8 years, but his job is demanding and his time to help at home is limited. I despise the dreary winters of Pennsylvania and struggle to stay motivated. Can you relate? I hope that by sharing my motivational tips and tricks that you can become a Motivated Mama too!